I’m a former Arlington resident and I love these newsletters that hit bothe on current and historical topics. Keep them coming! 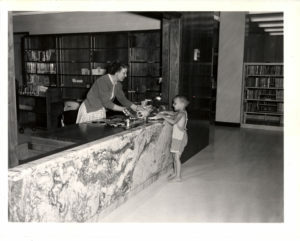 I would LOVE to see photos of the Columbia Pike Library in the 50’s. In the hot summer months of 1954 I would walk there from the Oakland Apartment, in my kiddie togs, happily looking forward to the weekly get together of the summer book club for kids. What joy as I opened that screen door to be greeted by the rush of Cool air-conditioned air, AND the smiling faces of my reading club buddies and the friendly librarian! !